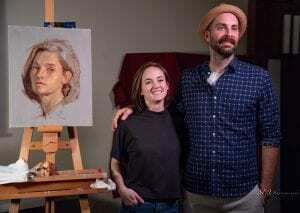 Kerry Dunn’s visit for the September 25 Portrait Society of Atlanta meeting was an enlightening treat. 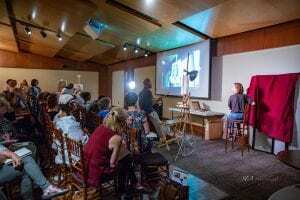 His demonstration was a masterful alla prima painting demo and an engaging lesson in oil portraiture, full of guidelines and tips for a roomful of avid artists. Next, he started loosely sketching his subject using a size 6 bristle filbert brush and a mixture of burnt sienna and ultramarine blue with a touch of titanium white. Dunn likes to work on a gray toned canvas with “any kind of brown” because it is like working with conte or pastels, and he can immediately see his values and colors compared to the neutral gray. • begin to focus on the angle of the head, anatomy of the neck, and placement of eye sockets. • keep flesh tones dimmer by using less white. • build up light on the forms, gradually giving more information and overall structure. Kerry Dunn with the evening’s model, artist Claire Pursley. When asked about painting in front of a group, he chuckled, “Stick to the fundamentals, and you’ll be okay!” Well, he certainly raised the bar above just “okay.” The legacy of his training under Nelson Shanks and his years of study at Studio Incamminati, The Art Students League, and Ringling College of Art were all evident in his superb demo and teaching. 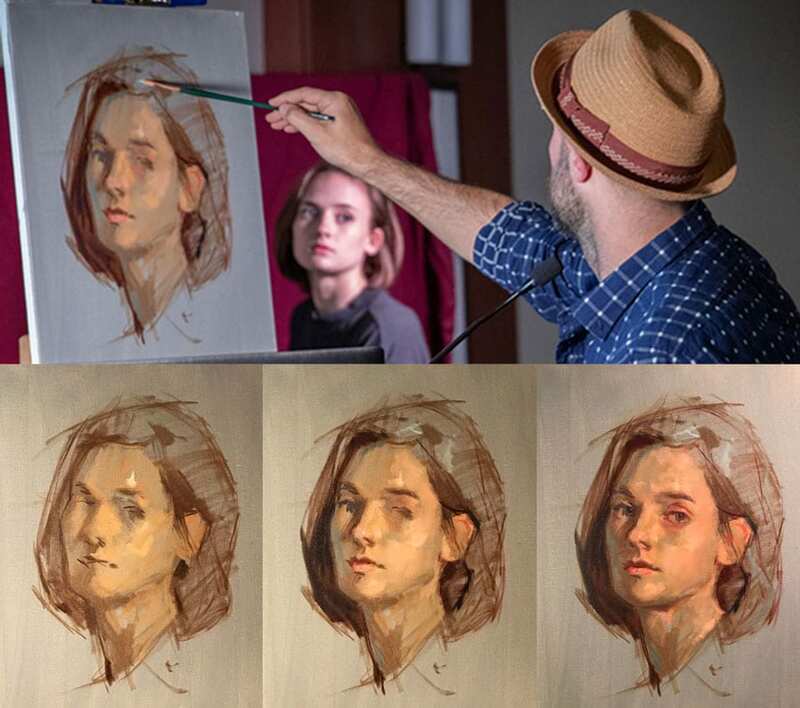 Many thanks to Kerry Dunn for his excellent demonstration at the Portrait Society of Atlanta. 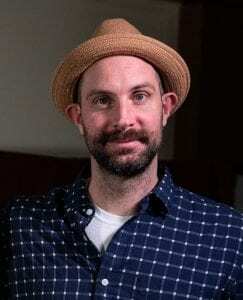 Kerry Dunn is an instructor in the core program at Studio Incamminati in Philadelphia, PA. His accolades include awards from the Salmagundi Club, Pastel Society of America, American Artist Magazine, and Portrait Society of America. Kerry teaches national and international workshops, and his work can be viewed at KerryDunn.com and on Instagram.